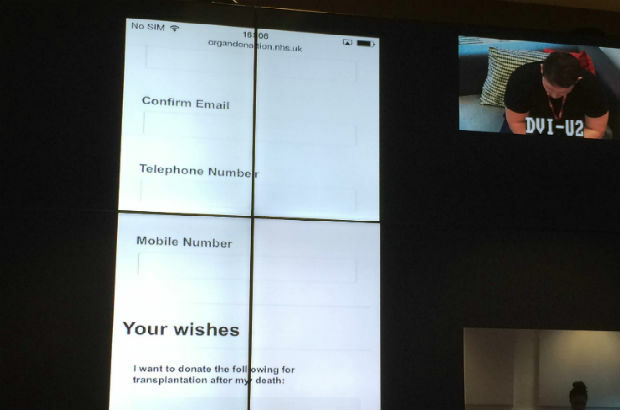 Ben McGuinness, Digital Manager at NHS Blood and Transplant, talks about his recent experience in running a user testing session to help redevelop the online organ donation registration form. User research. It’s one of those things that we all know we should make more time for but rarely manage to. It takes time to arrange sessions and participants and labs cost money. So it’s no surprise that in recent years, analytics has grabbed all the attention when it comes to user insight. But analytics is only telling us half the story. It tells us what users are doing, but not why they do it. Having recently spent the day in the Government Digital Service (GDS) lab with some users, I got a useful reminder of just how important the why is. Being mid way through the discovery phase of rebuilding the organ donation registration process, we entered the lab with lots of user data fresh in our minds and as I later realised, lots of assumptions about our users. These assumptions simply weren’t echoed by our test participants. We knew that 30% of our visitors did not even attempt to complete the registration form. We assumed it was too long, too complicated or there were questions that people were just not comfortable answering. All 5 participants interviewed generally felt the form was fine, simple to use and as they would expect. A younger participant was actually surprised at how little information we asked for, given how important they felt joining the register was. What seemed to be missing was the content around the form. What becoming a donor meant for them? What would happen next? Interestingly, most participants were not encouraged to sign-up by some of the stats and case studies found on the site. We also assumed that users would want to share their decision via social media after registering. In fact all participants would have chosen to have a face to face conversation with their loved ones, rather than post this online. They were however generally happy to help raise awareness via social channels. I also learnt a very valuable lesson about older users and the common belief that they are not as digitally capable as younger users. This view quickly disappeared when a woman in her fifties proceeded to simultaneously complete the registration form on both her iPad and computer! Observing the user testing session. Try and learn the questions you want to ask, so you don’t have to keep referring to your notes. The more you can make the conversation flow, the more relaxed users become and that is when they really start to open up. Be prepared to adapt or add to your questions as the day progresses. After our first interview the observation room was buzzing with ideas and additional questions. The same applies when in the room interviewing. Don’t be afraid to let the conversation deviate from your questions. This was where we gained a lot of our most useful insight. Have someone in the observation room capturing notes and useful insights. You will leave with a wealth of ideas for potential A/B tests and further research sessions. If your insight is missing the why, get in the lab and start testing! Great to see user testing literally working to improve the organ donation registration form. It's really valuable to have user testing results aligned with analytics data to optimise UX and complete discovery. The results will underpin future development and user engagement. If you can get access to user labs then it's well worth doing some testing first hand. The NHS BT team extended the invitation for me to observe this particular session and I found it fascinating. I particularly like Ben's insight about analytics being the "what" and user testing being the "why". Looking forward to hearing how the organ donation registration form develops post discovery phase. Thanks to Ben and team for letting me come along! Very interesting blog Ben, would be nice to use the testing labs to explore user journeys through the whole Organ Donation site and gain some insight into what content is most influential in leading visitors to the registration form. Great blog post Ben ! Looks like this process is invaluable. As Michael mentions I would like to be able to use this to learn as much as we can for our test and learn approach to content; both with the website and any additional digital resources we're looking to develop. In particular I think understanding the user requirements of hard to reach communities would be a really useful piece of learning.